Can An Apple A Day Keep The Doctor Away? Find Out! This tip is courtesy of Dr. Weil on Healthy Aging. Get more healthy eating information – start your free trial today! Contain abundant soluble and insoluble dietary fiber making it great for digestive and cardiovascular health. Provide vitamin C, which helps support healthy immune function. There are numerous varieties of apples available, and it’s worth taking the time to sample several and find the ones you will enjoy most. 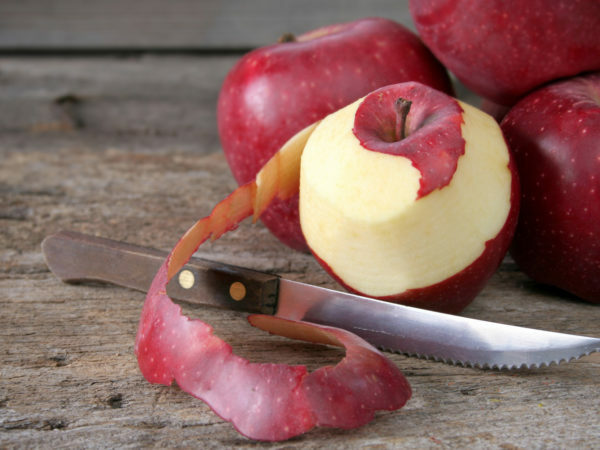 Choose apples free of blemishes, and always seek out organically grown apples to avoid pesticide exposure. Start getting comfortable asking your local growers what their practices are. You will find the ones that are growing free of chemical will be excited to share their story. Buy some apples and use them in our Tart Cherry-Apple Crunch recipe! Want To Focus On Healthy Carbs? If you love carbs, but want to eat the healthiest ones possible, the Anti-Inflammatory Diet on Dr. Weil on Healthy Aging may be right for you. Your 14-day free trial dishes up insight on healthy carbohydrate choices, from whole grains to beans and legumes, along with other dietary guidance.